Tax planning and other tax services require utmost care and patience to deal with. A bit of restlessness at any moment can result is significant errors and bring a lot of problems for your small business or start-up. With this guiding principle in mind and help small businesses and start-ups, DNS Accountants was started in 2005 in the UK. From a single room concept to a now well-established accounting and tax assistance firm with expert accountants in South Wales and all regions across the country, DNS has grown both horizontally and vertically and has left its footprint across all sectors. We work towards providing our clients with expert accountancy services. 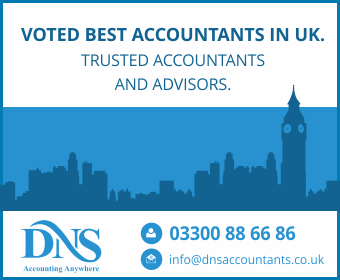 DNS Accountants extends its services to small businesses, start-ups, contractors, freelancers and consultants to help with their accounting, taxation, and financial issues all throughout the United Kingdom. Our excellent services can be justified with the plentiful nominations for various awards over the years. Out of the many recommendations, we won the award for the online accounting firm of the year in 2013. We are an IPSE accredited firm and are in compliance with the CIMA. The rankings and awards we receive are just an acknowledgment of our work. What we are committed to be a lifelong fruitful association that works best for both the parties. An excellent team of experts of exceptional experience at DNS assists all clients with overall growth and expansion. This brings better advancement of our customers’ businesses in numerous ways. We also provide fund management services, corporate financial services; tax planning, bookkeeping, Year-end accountancy services, auto-enrolment, professional indemnity insurance, and guidance for company formation for our clients through our accountants in Cardiff and other primary regions in the country. We work towards building a clean and doubt-free contractor-client relationship which is imperative for smooth functioning on both ends of the rope. Experts and professionals at DNS are highly patient and offer their inputs only after a thorough understanding of client’s business. The capital of Wales, Cardiff happens to be the 10th largest city of UK. One of the primary reason for this is that although, the population of Cardiff is roughly 10% that of entire Wales but its contribution to the Welsh community is almost as much as 20-30%. The main center of public gathering is also in Cardiff that makes it the center of tourist attraction. Working towards starting a start-up in Cardiff is essentially accompanied by useful resources and easier locality to work in. The natives are encouraging and so is the weather. Availability of all the main funding services makes Cardiff highly suitable to starting a business in. The rise in the Welsh GDP comes from the start-ups and small businesses working in Cardiff. Taxation is a complex concept for the common man and when it comes to filing tax returns, it becomes an intricate task altogether. Filing taxes at the end of each year or advance taxes need well-informed guidance for accurate filing that is error-free. The skilled approach of our tax accountants in Cardiff towards developing tax strategies help in tax reduction that reduces the pecuniary burden on the assets of the firm. We create data collection systems that keep your accounting information updated and in synchronization with the industry standards and at the same time revise the company’s tax database with any changes in the industrial laws. We provide financial reports both monthly and yearly that expresses the nodes that need care. Tax reporting and account report filing is done with expertise and attention. We also provide supervision to examine and correct miscalculations that may cause misleading tax filings. We present counseling on tax impact management and administration of tax liabilities. We help classify potential acquirement scenarios that provide access to better tax savings. We also aid proper coordination of tax work through our adept accountants in Cardiff. We provide a range of tax services that not only aid performance improvement but also analyze risks involved in a particular venture that reduces chances of guilt. Indemnity insurance is a like a backup or a shield that forgives and protects you from any inadvertent error that may creep in your tax filings. We provide support in cases of such mistakes that are bound to recur due to the significant data that has to be handled in our clients’ companies. Professional Indemnity Insurance is a prerequisite, as stated in the law, for solicitors and surveyors but is optional in cases of professions like IT consultants and for those working in advertising agencies. This insurance cover can be customized as per specifications to meet needs that are most sought after, and there is a lesser number of forms that need to be filled with DNS. Having said this, please make sure you pay for the cover you opt for and nothing else. The address at which a company holds all official, legal proceedings and the location which is registered upon incorporation is the Registered Office address. Each and every start-up and established company need to have a registered office in England. This was started as a policy in the UK to regularize the number of mushroomed start-ups that were gaining popularity. The legal address, the one that is registered with the government, is used for all future official correspondences from Companies House (the UK registrar), HM Revenue and Customs (HMRC; the UK tax authority) and other UK governing bodies. All letters and official documents are sent to this address only. Tax collection usually happens by automatic deduction from wages and savings. People are having more than one income source, for which they file taxes, must bring it in light of the Income Tax Department. Self-assessment involves sending your own tax return by the deadline (31st January for online users) of each year. Records have to be maintained by the account activity throughout the year to facilitate filing tax returns at the end of the year. If you are a first-time taxpayer, registration needs to be done. This varies depending on whether you are a first time payer i.e. self-employed persons or you are paying the penalty for not paying the tax last year. With the help of our learned chartered accountants in Cardiff , we extend the above list of services to nearby areas such as Penarth, Dinas Powys, Radyr, Taff’s Well, Pentyrch and Marshfield also. At DNS accountants, we seek pleasure in simplicity & extraordinary customer service. We believe in consistently guiding our clients to trim down their tax liabilities, thus, saving huge sums of money at every possible chance we get. This approach has helped our expert team members become one of the highly recommended accountants in Cardiff.